Nervous dog curls up in a blanket to reduce separation anxiety. 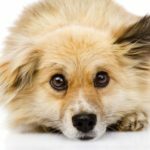 Separation anxiety is a very real problem that affects many dogs. 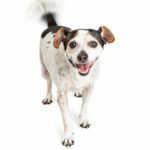 Knowing the warning signs and mitigating the problem can help improve your dog’s quality of life. These tips can help you cure dog separation anxiety. Before you can cure dog separation anxiety, you must first know how it manifests. 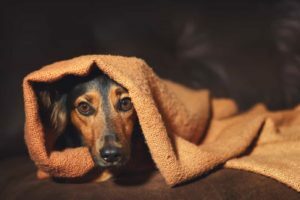 While some of these dog behaviors will be evident when you come home (pillows or blankets might be chewed up or carpet may be torn), many other signs of separation anxiety are not visible unless you’re present when they’re taking place. Dogs suffering from this condition may whine, cry, bark, run in circles and become frantic in the absence of their master. Some dogs may even try to escape their home in search of their master. Separation anxiety can leave dogs feeling miserable and alone. Separation anxiety is, first and foremost, an anxiety problem. Like other anxiety problems, it can be treated with medication. Typically, medications are administered to dogs about an hour before their owner leaves. Medications help soothe pets and make other training more effective. If you’re a pet owner and your dog is suffering from serious separation anxiety, contact your pet’s veterinarian first. Your pet’s vet can prescribe the right dosage for your pet’s size and symptoms. Once your pet is on an effective medication, you can start training that will help your dog manage his behavior and emotions. Step 1: Get your pet to snack. Snacks are your best friend when you’re trying to train your dog. Find a snack or treat that your dog can enjoy while you’re away from home. Preferably, find a treat that your dog will take half an hour or longer to consume. Every dog is different, and not all dogs enjoy the same treats. There are many treats on the market, so shop around and try different options. Take care to avoid treats that could become a choking hazard and consult with your pet’s vet if you’re concerned. Treats are important because your dog will experience the worst anxiety in the first half an hour after you’ve left home. 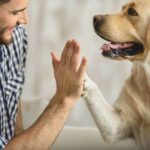 Giving your dog a treat to fill the time helps your dog develop happy associations with your absence and also distracts your dog from his feelings. Step 2: Ditch the crate, if you can. Confined pets usually suffer more from separation anxiety than pets who don’t. If your dog is normally kept in a crate while you’re gone, leave your pet loose in the house the next time you go. Close off any rooms where your pet should not be allowed to go. 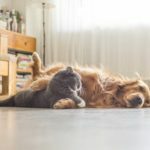 Pet-proof your home thoroughly before leaving. In some cases, crates are necessary to prevent your pet from destroying your home or coming to harm. You’ll have to decide for yourself what works best for your dog. Step 3: Crank up the exercise. Tired dogs have an easier time relaxing. Keep your dog well exercised, especially on days when you’re expecting to be away. 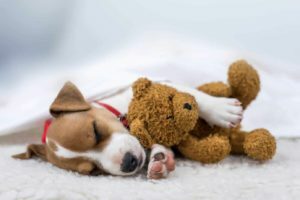 You may need to get up earlier in the morning to take your dog for a long walk or come home mid-day just to get in some more exercise. Step 4: Act like it’s no big deal. Your dog takes cues from you. If you act like leaving is no big deal, your absence will lose some importance in your dog’s mind. When you come home, walk in the door like your absence was nothing. Acknowledge your dog, but don’t shower your dog in kisses and hugs. Working with a training expert makes everything easier. 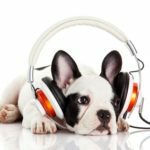 You can find expert dog training all over the world (if you are in Atlanta, click here if you are interested in working with me). 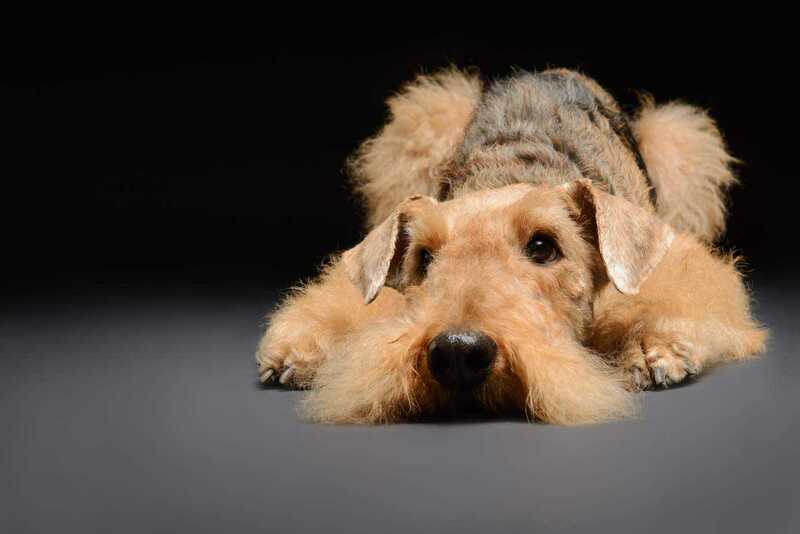 Your dog’s trainer can give you more ideas and can help you cure your dog separation anxiety. Evan Dunbar is the president of Full Contact K9 and ProK9 Equipment. learning in the world of professional dog training.